Unfortunately for many homeowners, cracked bathtubs and shower bases are a very common issue. We deal with them all the time at Inner Bath! Whether you’ve got a pin sized crack starting to form, or a humongous crack that’s splitting your tub or shower base in two – it’s worthwhile having someone look at it. 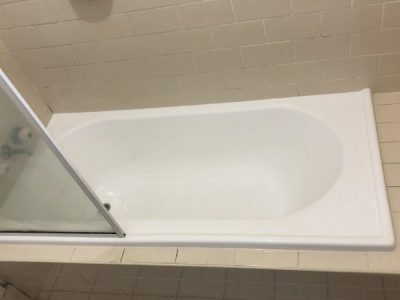 How does a bathtub or shower base become cracked? Wondering how your beautiful bathtub got into this state? There are a few key factors that can, over time, lead to the cracking of a tub or shower. 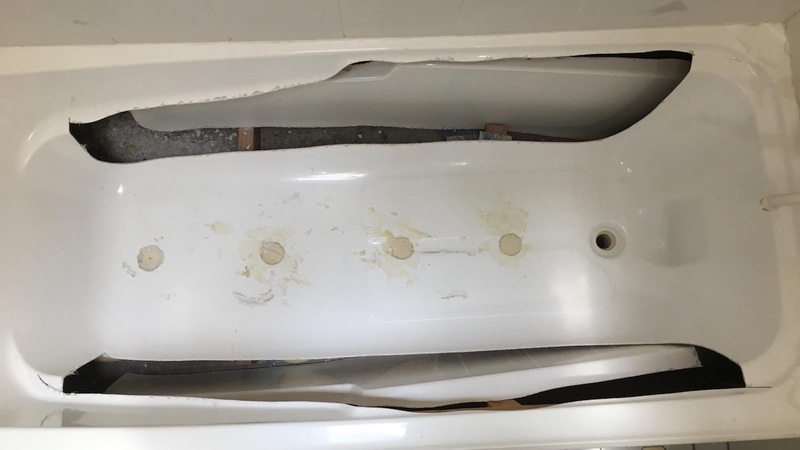 If your bathtub was installed incorrectly from the beginning, there’s a good chance it’s not going to be too long before you start to see some sort of damage. Improper installation includes insufficient support being placed underneath your bathtub, to hold it firmly in place. Fibreglass tubs are especially susceptible to cracking, as the flexible material bends when weight is placed on it, which means bad news if there’s not enough support underneath. Okay, we’re being slightly overdramatic. But bathtubs and shower bases do withstand a lot, between the litres of water they hold and the amount of movement they endure. Particularly if you use them more than a few times daily! If they’re already improperly installed with insufficient support underneath, they’ll be more likely to crack under pressure. 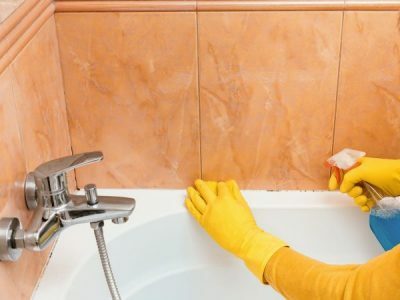 Washing your bath or shower in cleaning products such as bleach or other harsh chemicals can, over time, weaken the surface of your tub or shower. This, mixed with the other aforementioned factors, can create instability and lead to cracks. While you might not think a tiny crack will make much of a difference to your daily bathing routine, it will undoubtedly make a difference to your bank account, if left unattended to. Here are a few reasons why you should think about getting your tub or shower base relined sooner rather than later. 1. Leakage of water from the crack can cause mould and further damage to the floor underneath. 2. Tiny cracks don’t stay tiny for long – damage is bound to worsen and will lead to more expensive fix-ups in the end. 3. 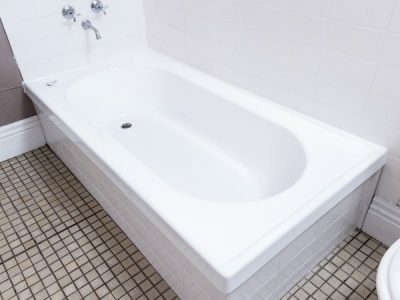 Injuries could be obtained from slipping on a soft or flexing tub floor. 4. Injuries could be obtained by stepping on the cracks. Obviously, this will depend on how big the cracks are, and how little the toes of those being put in the tub are (babies, we’re looking at you). From cracked to shiny and new in a few hours! 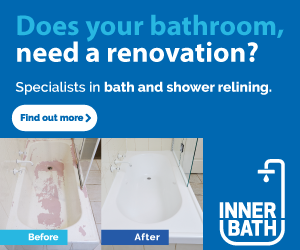 At Inner Bath, we pride ourselves on being able to deliver the best bathtub and shower relining solutions in Australia. 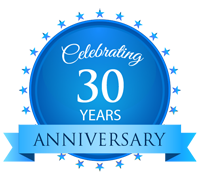 Our relining process is time and cost efficient, environmentally friendly, and most importantly, is a long-term solution that will revitalise your bathroom entirely. Below are a few images from one of our recent relining jobs for a cracked bathtub in Southport, Gold Coast. We cut and drilled the floor surface of this tub, pumped our two-part polyurethane expanding foam in, creating a solid amount of support for the floor – then we relined. The job took a total of four hours, and the tub was usable the very next morning. 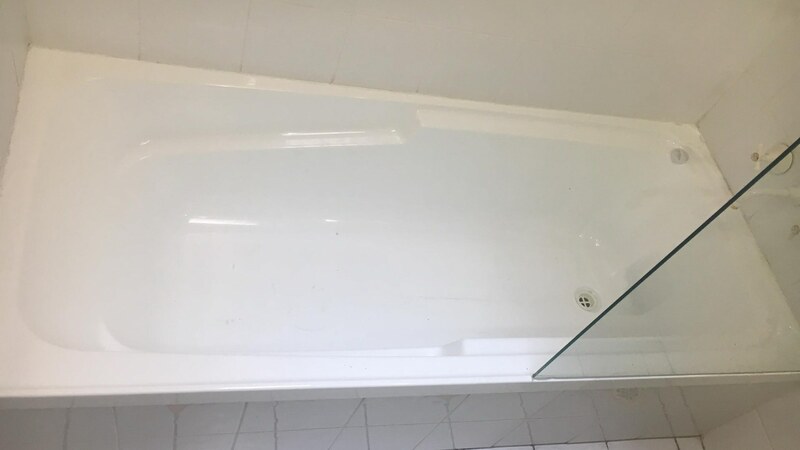 If you have a cracked bathtub or shower base that you don’t want to risk putting off getting fixed any longer, then give us a call today.